Certificate - SINOLIFT MATERIAL HANDLING EQUIPMENT CORP. Thank you for visiting our website: www.sinolift.com , Sinolift Equipment Co., Ltd is a professional lifting equipment and hydraulic machines manufacturer in China. Our main products include: Hand pallet truck, electric pallet truck, forklift trucks, manual stackers, electric stackers, aerial working platforms, drum handling tools, and related accessories and attachments. Etc. 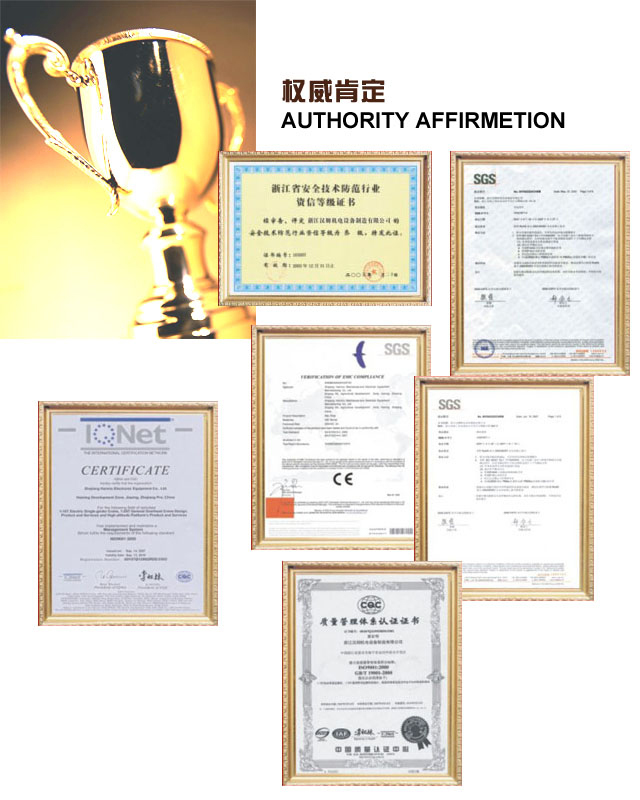 We have obtained ISO9001:2008, ISO14001:2004, and CE certifications. Chinese Well-know Trademark Certificate, and our industrial handling and lifting equipment have passed GS tests from TUV. So you can feel secure in using our products. At present, our products are quite popular in America, Germany, Korea, Japan, Poland, Kazakhstan, Eygpt, Russia, South Africa and GCC countries and more. We would like to provide service for more customers all around the world. So please do not hesitate to contact us if you are in need of any our products.